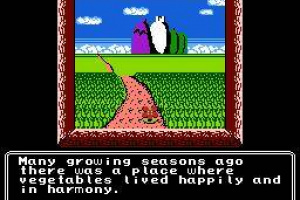 Many growing seasons ago, the Salad Kingdom was a peaceful land. 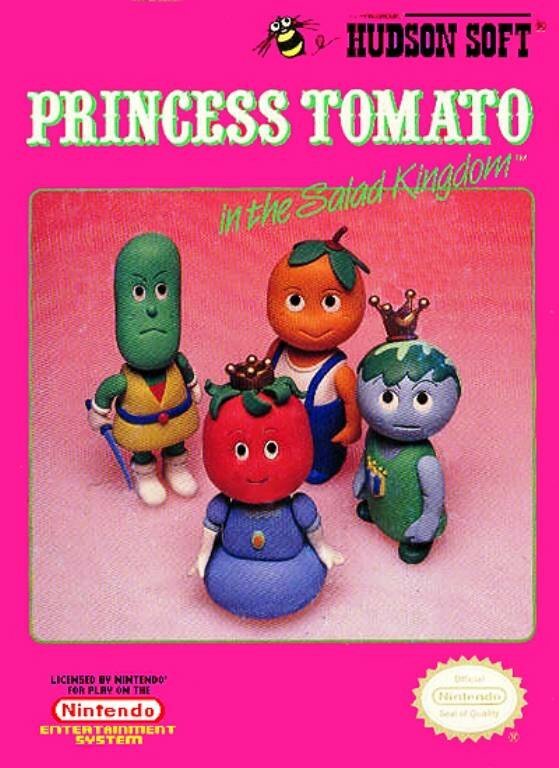 But one day, minister Pumpkin betrayed king Broccoli, kidnapped princess Tomato, stole the royal Turnip Emblem, and took them to his castle in Zucchini mountains. 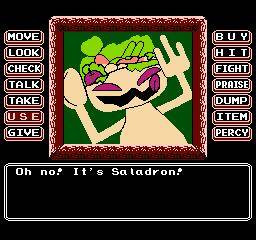 He sent his cruel Farmies to terrorize the Salad Kingdom. Shortly thereafter, the king died, unable to recover from the loss of his beautiful daughter. But he promised you, the brave Sir Cucumber, the princess' hand and the entire kingdom, if you save the beautiful Tomato from the clutches of the evil Pumpkin. 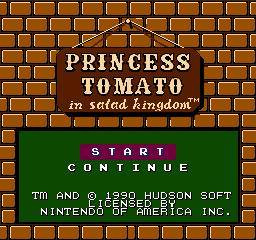 Princess Tomato is an adventure game in which you interact with the environment by choosing commands from a menu, such as the traditional "check" or "give", and the less traditional "praise" or "percy". 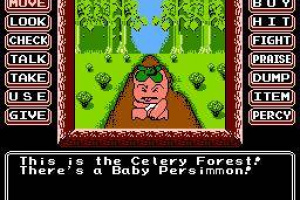 Percy is a little persimmon who will be your trusty side-kick throughout your quest and who will help you on many occasions. 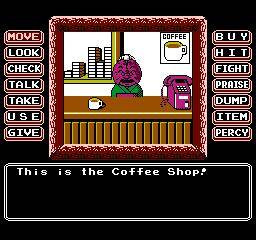 The puzzles are on the simple side, and are primarily based on talking to characters, finding items and giving them. 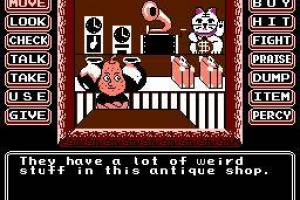 There's something about that creature on image three that looks familiar to me. I don't know what, but something. Otherwise, never played the game. One of my all time favorites. The soundtrack is amazing. Oh, yeah, now I remember. It says adventure under genre, and the boxart looks good with those cute clay models. I wonder if it's all good. Looks, interesting. 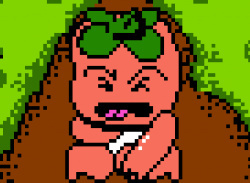 Reminds me of that game Tomato ADventure made by the makers of Mother 3 for GBA. 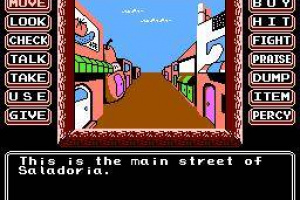 This was one of my favorite NES games! I can't wait until this gets to the US! 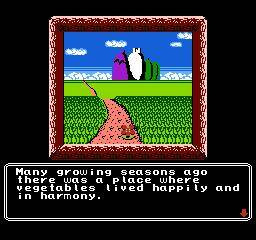 The only other game I liked more was Pool Of Radiance. This would be a great game to play on the DSi since most of the time you are pointing and clicking. 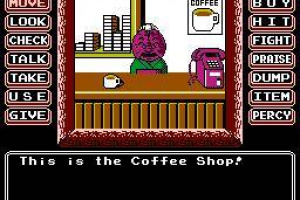 I spent many an hour playing this game. 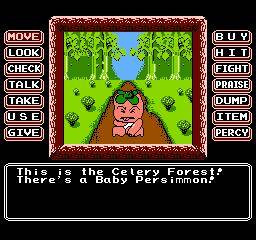 And this is one of the few that I actually beat on the NES. Keepin' my eye on this one. Looks great, sounds great, so it's got to be great, right? |sf>To me, this is one of the great things about the Virtual Console. It gives me a chance to play some games that were completely under the radar when they were originally released. 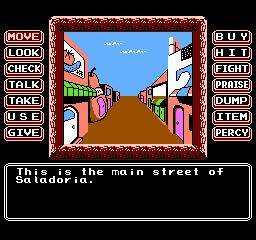 I used to love Shadowgate on the NES and I've never played this before, so this will be a clear download. It's been rated by the ESRB. NA should expect this game any time now. 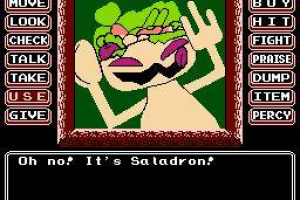 The Saladron reminds me of a Meowth. 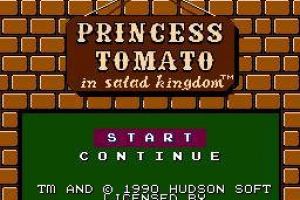 Well, Princess Tomato in the Salad Kingdom has now been released on VC! 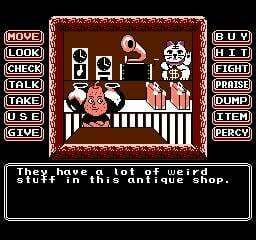 Doesn't matter for me though, since I already own it on my NES. Is this game any good? I've never played it. Horribly named game. But looks pretty interesting. Excellent release. 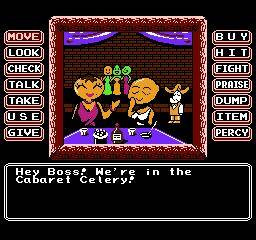 We need more quality yet obscure games. 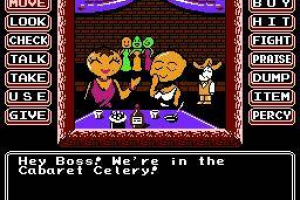 I've never played this (or heard of it) before. It looks interesting, I think I'll download. yay for cabbage patch kids.